Welcome to F1Minute - Susie Wolff successfully tests the FW33 at Silverstone. 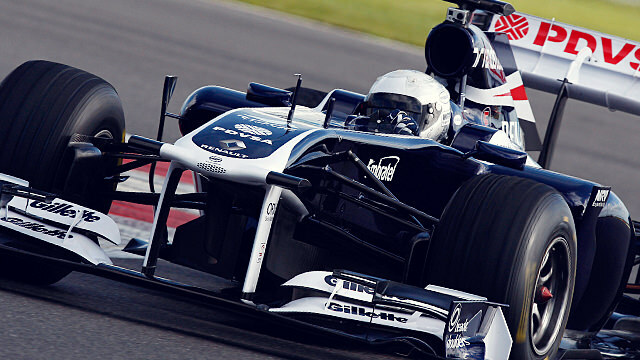 Williams development driver Susie Wolff got behind the wheel of last year’s car, the FW33, at an exclusive partner day at Silverstone. The event was put on by the team to allow friends, family and partners access to the cars and drivers, as a way of thanking them for their loyalty and support. Susie drove the more current car, whilst Pastor Maldonado, Bruno Senna and reserve driver Valtteri Bottas got to grips with some vehicles from history - Keke Rosberg’s 1982 car and Damon Hill’s championship winner from 1996.